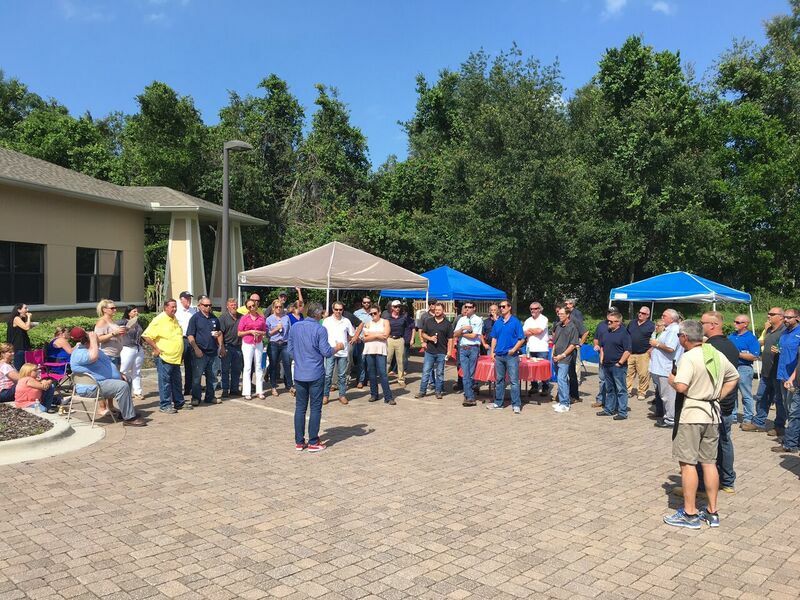 On Thursday June 22nd, Richard Haines, Joe Hurt, Phil Whitehill and Corey Collins cooked great food at our annual office BBQ. 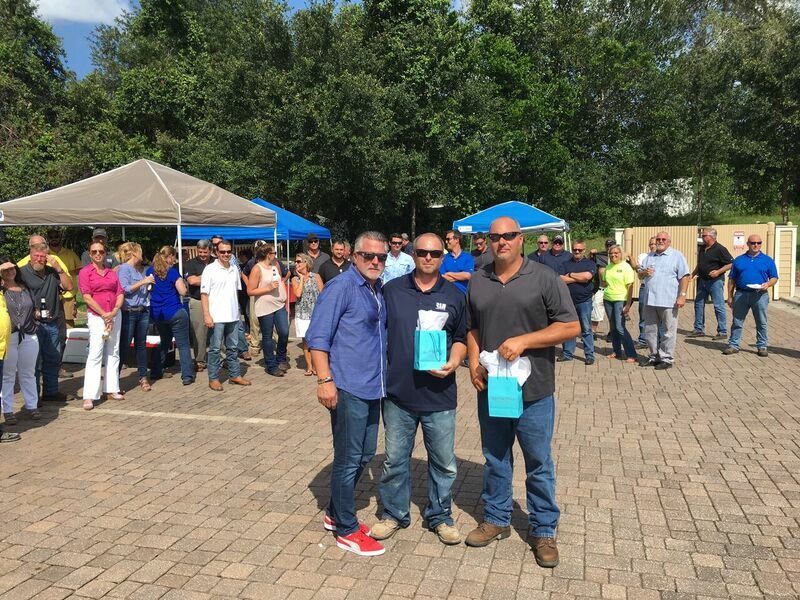 We also said Congratulations to Doug Landes and John Galuppo on their 10 years of service. 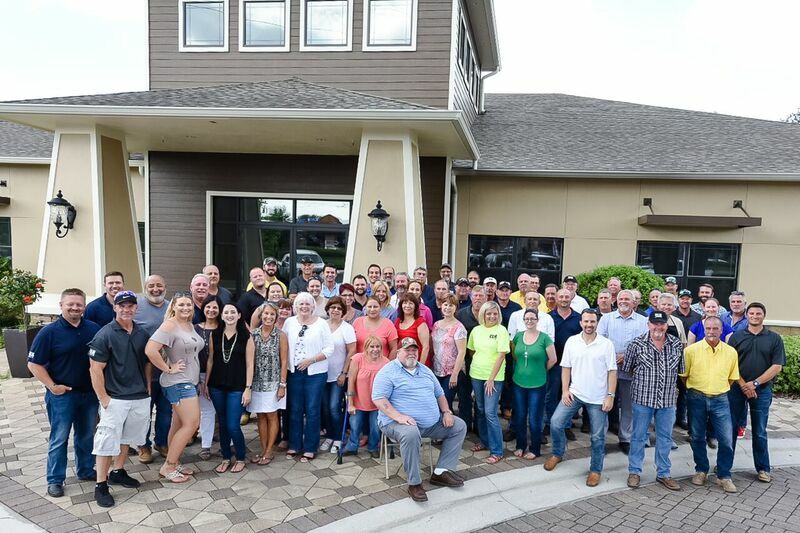 We made sure to get a group picture of everyone at the BBQ. 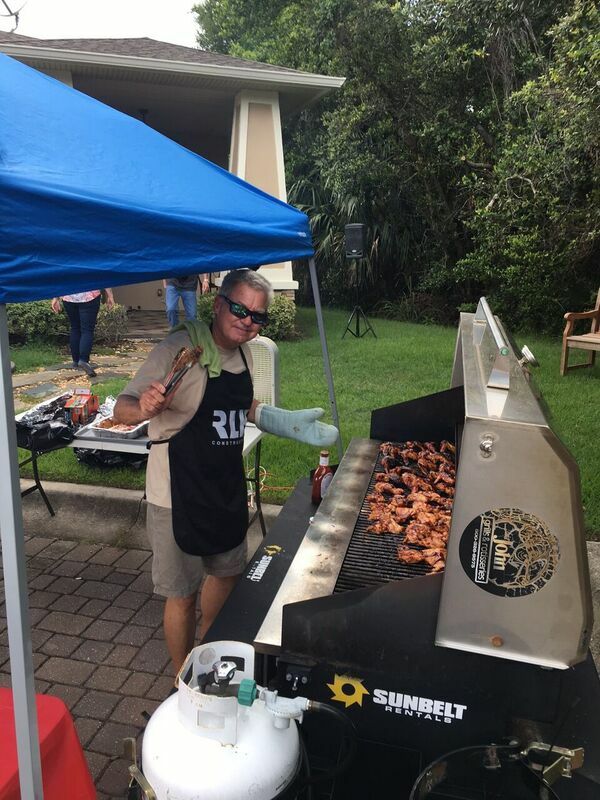 This entry was posted in Charities, Events and tagged construction bbq, contractors making food, happy barbeque by admin. Bookmark the permalink.